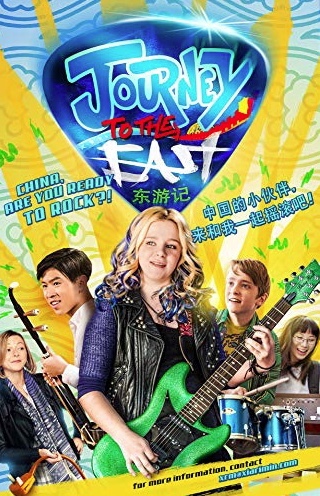 In 2015 I produced a Hannah Montana-style rock ‘n roll show for kids called “Journey to the East”. The story is about Journey Rockwell, an All American Rocker Chick, who is forced to move to Beijing, China when her mother gets a job teaching English to Pop Stars. She and her genius brother, Miles, must adjust to Chinese Public School. What was super unique about this project was that it was bi-lingual show… we shot it twice! Once in English with a little bit of Mandarin, and once in Mandarin with a little bit of English – and all with the same actors and locations! It made for a very big casting challenging (searching for Caucasian actors in LA who were fluent in Mandarin, etc. ), and also a scheduling/post production challenge. To this day, I still don’t think anyone else has approached a project like this – took us 1.5x longer to film it, with two distinct deliveries of the project, with separate edits, scores, graphics, VFX, etc. Was a huge accomplishment when we finished this one!